The Summer Capital of the Philippines or The City of Pines is one of my favorite places in the Philippines. I often refer to this place as my second home city 'coz I frequently go to this place either for business or pleasure. 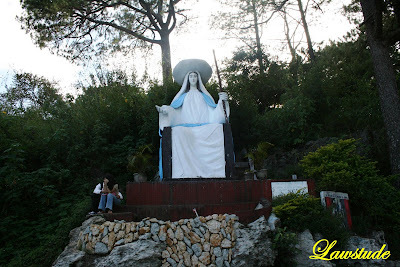 As I have said in my previous post, I will be in Baguio for most of the first quarter of this year so I hope to share everything the place has to offer for tourists starting with The Lourdes Grotto. 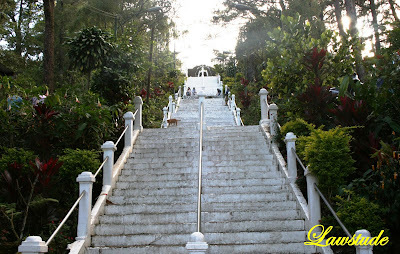 Located in Dominican Hill in the western part of the City, tourists and devotees alike can climb its 252 steps to see the image of the Lady of Lourdes. It is a steep climb and not for the very faint-hearted so you need to bring some drinking water or take a rest in one of the side-benches located in every stop-overs. To help those not-so-young tourists, a metal rail is constructed at the center of the steps for tourists with shaking knees to hold. At the altar, devotees who go up to the grotto to pray usually light up a candle or offer flowers. There are vendors of candles and flowers there so you do not need to bring your own. Once there, you can pray for your wishes and personal intentions but do not forget to thank Her because you just accomplished a heart-pounding and a breath-taking climb. From what I have gathered, the Lourdes Grotto was constructed to commemorate the numerous visions of the Virgin Mary to Bernadette Soubirous, a 14-year old French girl in the town of Lourdes which is in southwestern France. The visions were declared authentic by the Pope in 1862 and this also led to the authorization of the cult of Our Lady of Lourdes. A convent is on top of the Grotto but this is off-limits to tourists. The grotto is also a pilgrimage site during Holy Week and there are Stations of the Cross located in its winding, narrow and steep asphalt-paved road. One of the main attractions when you do the trail is you get to see a statue of Our Lady of Divine Shepherd in the twelfth station. 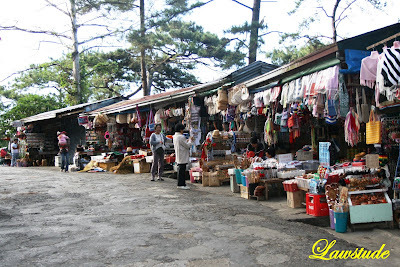 The place also has several souvenir stalls where religious items like rosaries and crosses, as well as native Baguio handicrafts are sold. 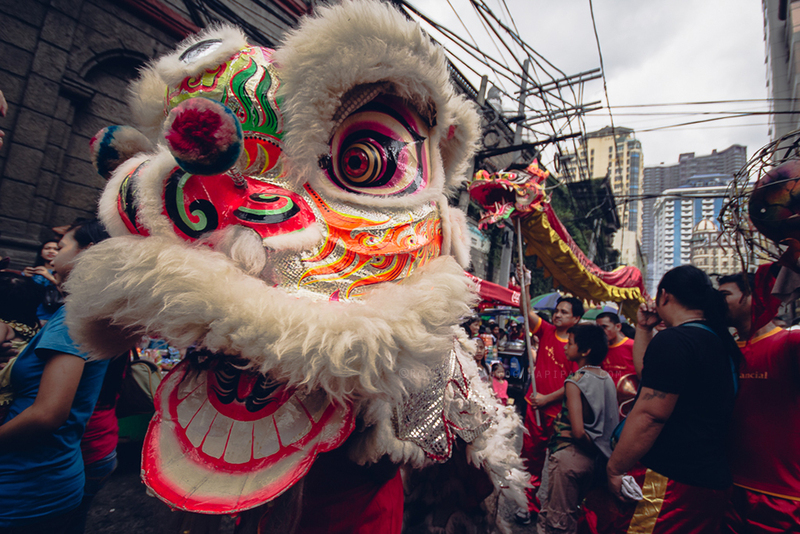 Just try your best to bargain 'coz some of these stalls offer larger price tags to uncompromising buyers. There are also Ifugao folks there ready to share some pics with you for just a minimum token. 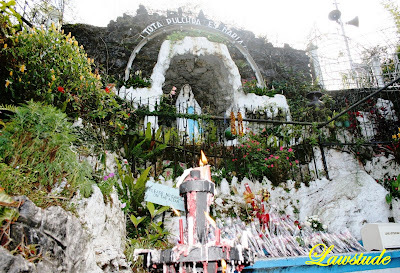 So, if you happen to go up in Baguio, do not forget to include the Lourdes Grotto in your itinerary. 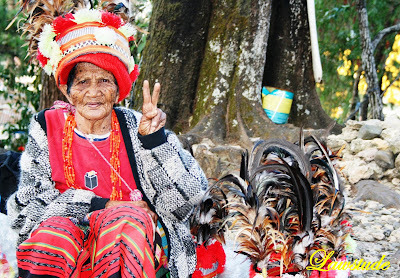 And as, the native woman in the above picture says... PEACE everyone. I've always wanted to see the Ifugao tribe with my own eyes. 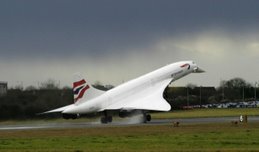 Hopefully one day I'll get to see 'em. That seems a nice place to have a trip and enjoy all the amazing things there. i've never been to baguio. poor me! i missed my chance in 2001. @ kyels - the philippines has some interesting tribes like ifugao. interacting with them is a wonderful experience. 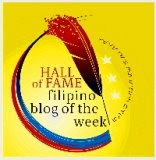 @ alicesg - thanx for visiting, i will be featuring some of baguio's wooden handicrafts soon. 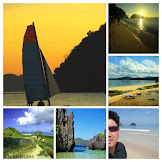 @ quintarantino - right, the place is a combination of natural beauty and breeze. it is the summer capital of our country. 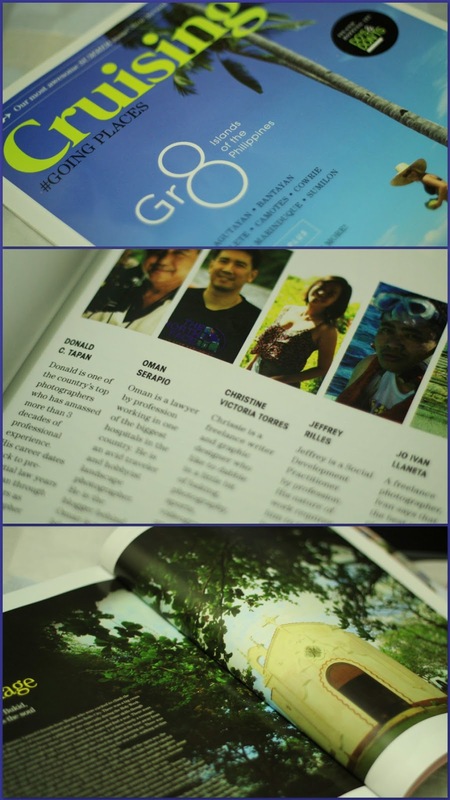 @ gmg - thank u blogtrotter, have a nice week ahead of you. @ lazarus - baguio will always be there waiting for you. if u have another chance, go for it for the city has lots to offer. I have fond memories of the place. I used to study there in Baguio in the 80s and if I remember it right, I have climbed that Lourdes Shrine at least a dozen times. 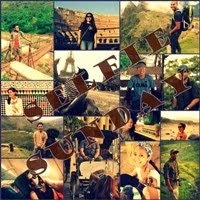 Thank you for the post because it brought back fun memories of Baguio.